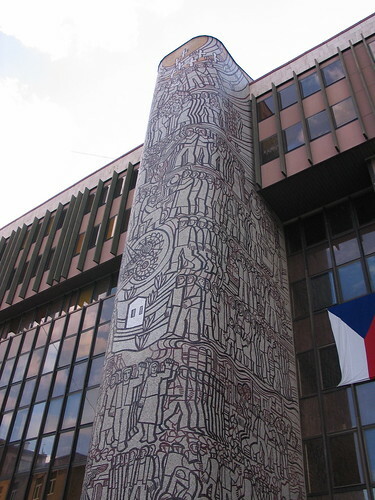 7 story mosaic depicting the ascension of the Czechs to the stars, originally uploaded by nicbrown. 7 story mosaic depicting the ascension of the Czechs to the stars. 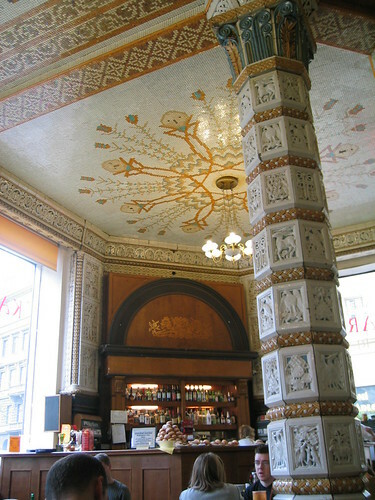 Tiled ceiling, originally uploaded by Steve Roe. Usually its floors that are mosaicked. In this case it is a ceiling. I wonder if any extra reinforcing was required and what kind of tiles were used.